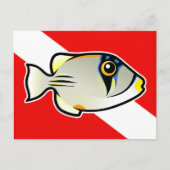 The Arabian Picassofish is one of the most beautiful fish to see when scuba diving in the Red Sea in Egypt. 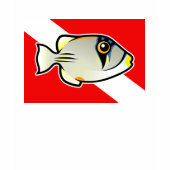 This is our Scubadorable version of the picassofish in front of a red-and-white dive flag. 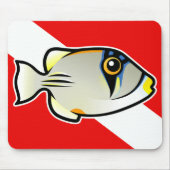 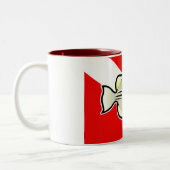 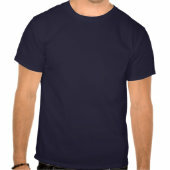 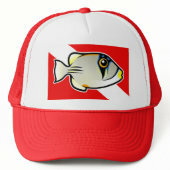 Great gifts here for scuba divers and Arabian Picassofish fans.